Bonnie Hallman of Winnipeg had been booked to board a Disney cruise next summer to bask in the untamed wilderness of Alaska, which she had longed to see since flipping through copies of the state's tourism magazine as a teenager -- until a simmering trade standoff with the U.S. forced her to rethink her travel plans. The 53-year-old geography professor said she scrapped her dream Alaskan getaway in favour of a trip to P.E.I. shortly after President Donald Trump took aim at Prime Minister Justin Trudeau for pushing back against American tariffs on steel and aluminum. She's among a number of social media users who have resolved to #BuyCanadian in an effort to bolster homegrown industry amid fraying trade relations with the U.S.
A recent poll also found that roughly half of Canadians surveyed said they would refrain from cross-border shopping or travelling to the U.S. for pleasure. 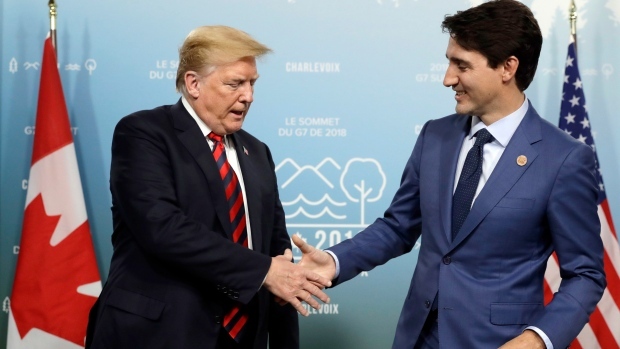 Hallman said a similar decision came to her like a "lightning bolt" when Trump personally attacked Trudeau as "dishonest" and "weak" upon leaving last week's G7 summit in Charlevoix, Que. As a Canadian citizen, Hallman said she has little sway over domestic U.S. affairs, but she could think of one way to hit the Trump administration where it hurt -- with her wallet. "I'm not going to let you push my country around," she said in an interview. But experts caution that pocketbook patriotism may have unintended fiscal consequences on both sides of the border. Robert Wolfe, a professor emeritus at Queen's University's School of Policy Studies, said the online push to .BuyCanadian could fan the flames of a trade war in which no side would prevail unscathed. "If it starts to escalate the Canada-U.S. tensions so that Americans begin to think we're actually just mad at them, as opposed to mad at their president, that could be difficult for Canada-U.S. relations, and ultimately, not good for the economy," said Wolfe. The mirror of 'buy Canadian' is 'buy American,' a protectionist approach to trade that Canadian exporters have long fought against for fear of being shut out of U.S. markets, Wolfe said. 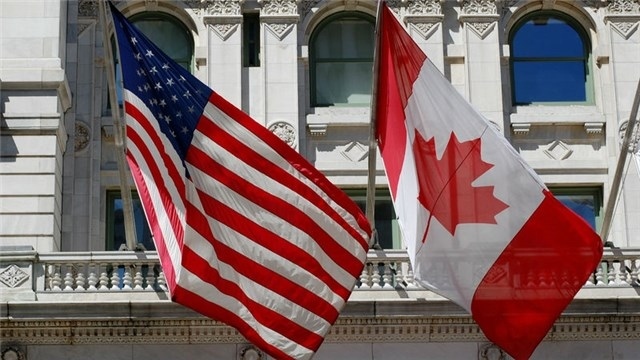 Ottawa plans to impose retaliatory duties on certain U.S. products that appear to have been selected to maximize the political toll on key industries, rather than punishing all American businesses. "In the end, we don't win if North American relations become really belligerent." The online poll conducted by Abacus Data between June 1 to 6 -- after Trump's tariffs announcement but before trade tensions erupted at the G7 summit -- also found more than half of 2,200 respondents said they would avoid buying U.S. wines, while 35 per cent would be turned off by a 'made-in-America' label. The polling industry's professional body says online surveys cannot be assigned a margin of error because they do not randomly sample the population. Food economist Mike von Massow of the University of Guelph said he thinks a show of Canadian fiscal solidarity may buttress the country's position in trade negotiations, even if the .BuyCanadian campaign has more of a symbolic impact than an economic cost. "Canadians of all political stripes and consumers are saying, 'We're behind you. We think this is the right thing to do,"' said von Massow. "We have a relatively unpredictable partner in these negotiations, so showing some solidarity and some resolve probably will create some benefit." Swearing off American-made products, however, is easier said than done, von Massow said. It can hard to decipher what is truly a Canadian product, and few consumers are willing to sacrifice their purchasing preferences to only buy what's locally available, he said. Scott Chamberlain, a father of four in Ottawa, said he's been trying to fill his grocery cart with mostly homegrown goods to support the Canadian producers who could be hardest hit by cross-border friction over trade. But when the labour lawyer tweeted out a photo of his first "Trump-free" haul -- including Apple Cinnamon Cheerios, Dole bananas and Activia yogurt -- social media users were quick to point out that many of the foodstuffs he picked out are produced at least in part by American companies. "I'm not going to say I'm never going to buy an American product again," Chamberlain said in an interview. "We all just need to do little things to support Canada." Hallman said she doesn't see herself taking that long-desired trip to Alaska any time soon, but she holds out hope that she'll eventually feel comfortable crossing the border again. "This is not some kind of rabid anti-Americanism. If anything, it's done very regretfully, but I also didn't have a choice," she said. "It's firmed my resolve that you can't take for granted what we have." How are you responding to trade tension with the U.S.?